Hanging chair dolly for folding chairs. 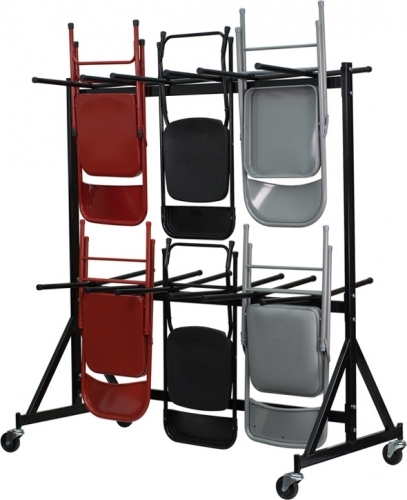 Holds up to 60-80 chairs depending on the thickness. This is a great option for those that are space limited. If your storage room is far away from your event room, this cart will allow a swift execution of breaking down your events.